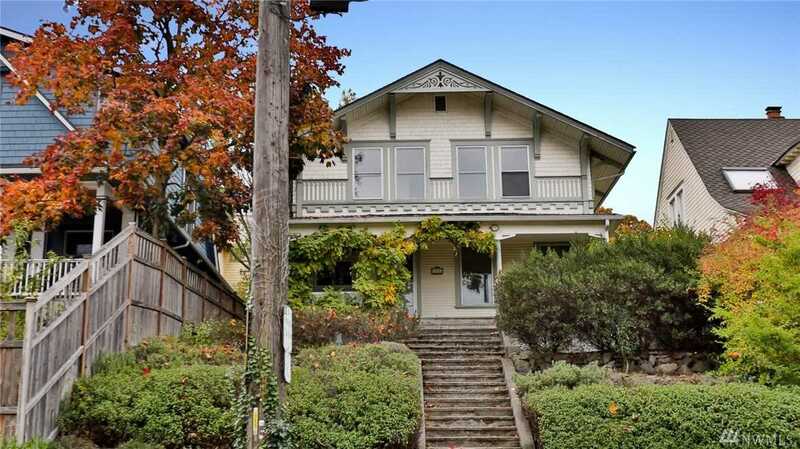 Dreamy 1901 Victorian home with City to Mountain views! Bring this beauty back to life or build new in this amazing location! Stunning vintage details throughout. Gorgeous fir & hardwood floors,french doors, & high ceilings highlight this special home. Spacious sunny kitchen with dining space. Full basement, perfect for a ADU or extra living space. Newer sewer line and updated electrical panel. Nestled on a beautifully landscaped lot. This home presents a rare opportunity on Capitol Hill. Lot Size: 0.09 Acres / 3720 Sq. Ft. Directions:East on James st-left on 14th Av- home on right. No sign. SchoolsClick map icons below to view information for schools near 826 14th Ave Seattle, WA 98122.